Albertplein is the beating heart of Knokke, the Belgian coastal town where nature and culture meet. 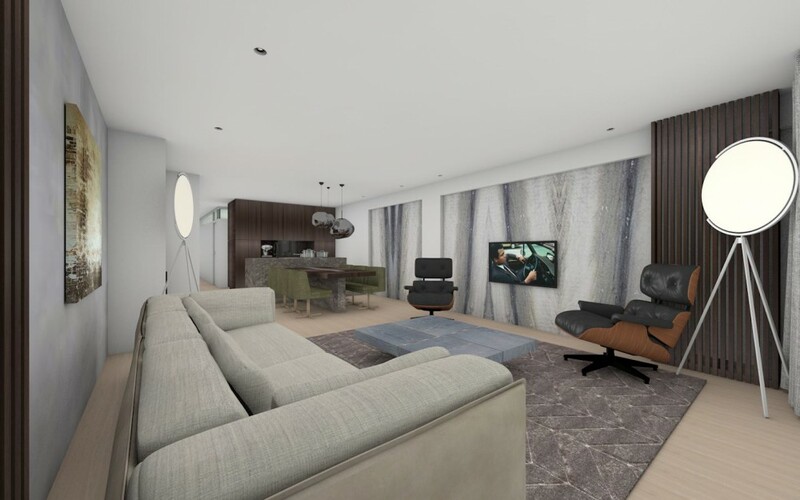 Just a few steps away, an interior designed by Remy will appear in one of the fashionable apartment complexes. During the design, he explicitly considered the location of the building. Not only the view, but also the amount of light is important. 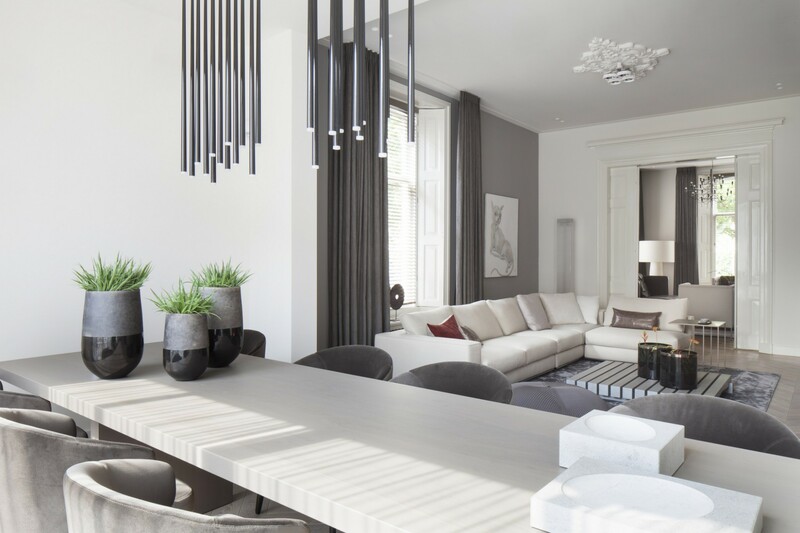 An eye-catcher in the interior is the bar and dining table, which are placed in the space like a sculptural work. Would you like to walk around in a furniture world designed by Remy? This will be possible as of spring 2019. 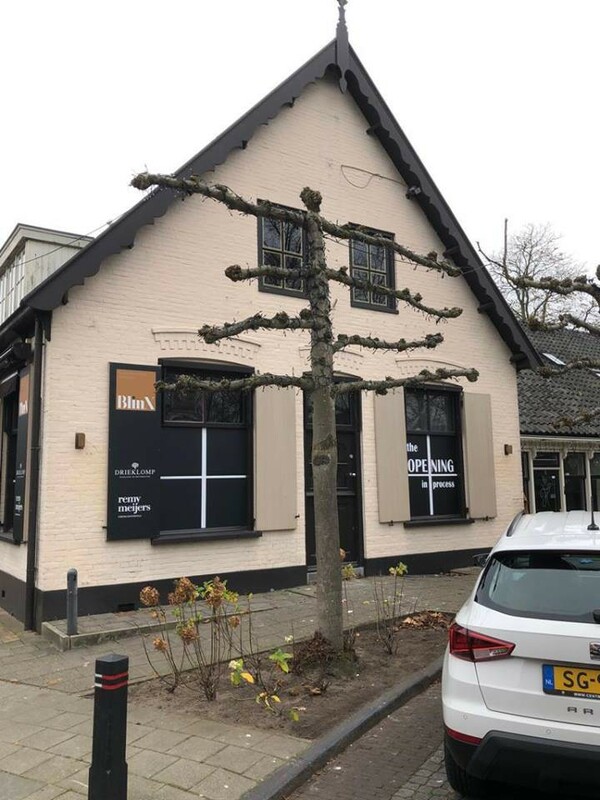 In the Dorpstraat in Blaricum, BlinX (Blaricum Interior Experience) will open. 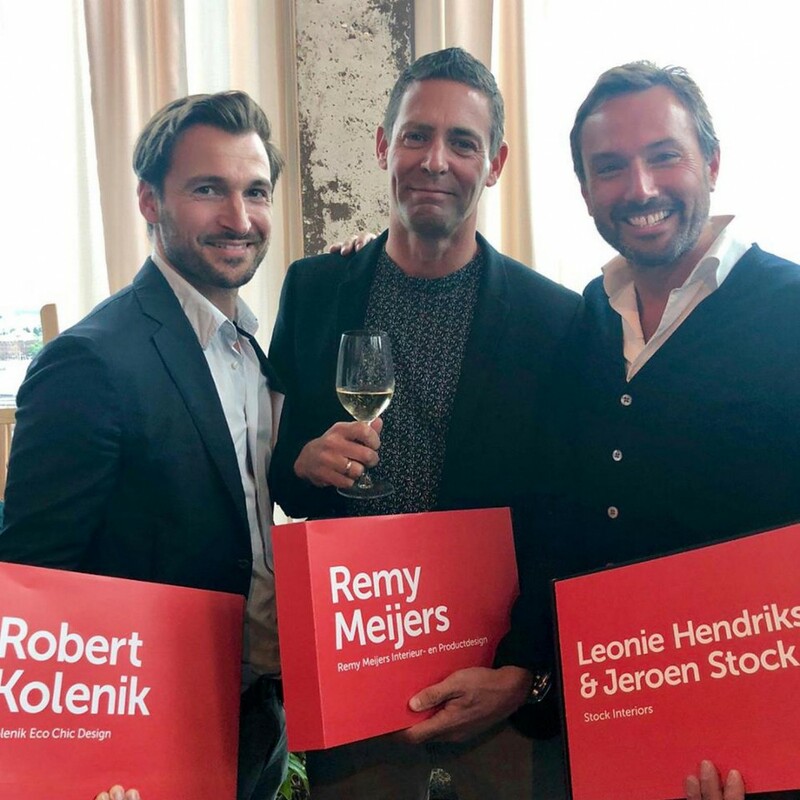 In this interior shop the complete Remy Meijers Collection will be on display. In addition to this shop-in-shop, visitors can also go there for interior advice. A beacon of modernity in a village of cane-roofed houses. 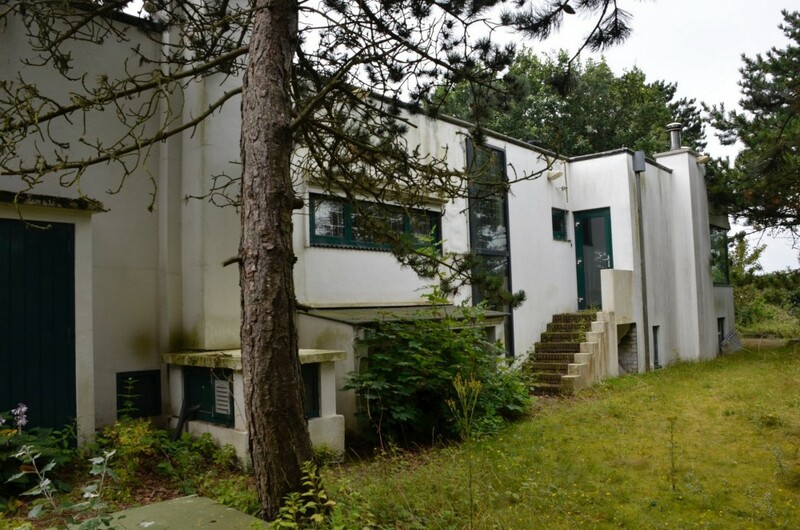 With these revealing words, three years ago, daily newspaper NRC described a villa designed by architect Henk Wegerif (1988-1963) in Wassenaar from 1925. The current state may be bad, the contours of the house still show the grandeur of the past. This will reappear in the years to come, partly thanks to Remy's involvement. Recently he presented the first sketches to the owners of thebuilding. 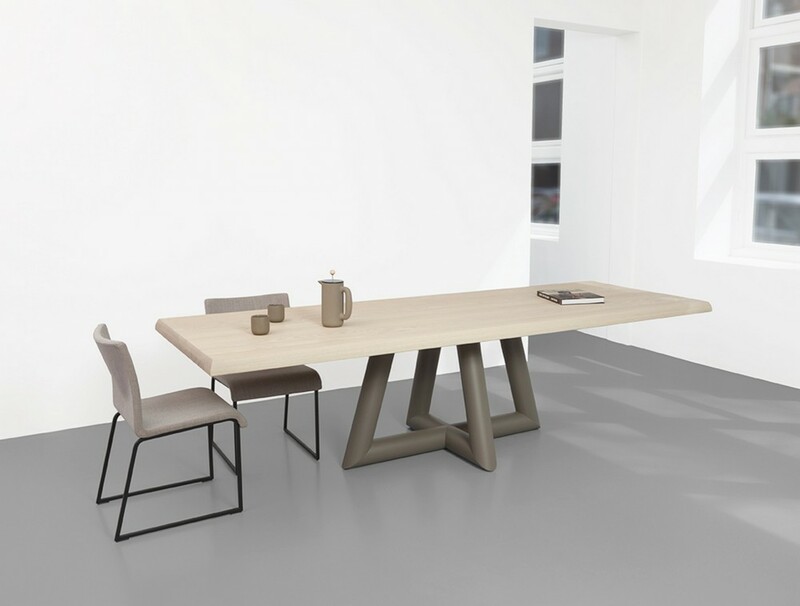 New to the Odesi collection is the ash wood dining table Bold. With its characteristic appearance, Remy’s design refers to two earlier designs, the Slide and the Solid. His approach was the same, but the look is thanks to the shape and the use of colour even more solid. The following two colour combinations are possible: ash silk with a beige-greybase or ash charcoal with a black base. More information can be found on the website of Odesi. The Best Dutch Interior Design. This is the title of an overview work that was launched last week in Amsterdam in the presence of the top of the Dutch interior design. 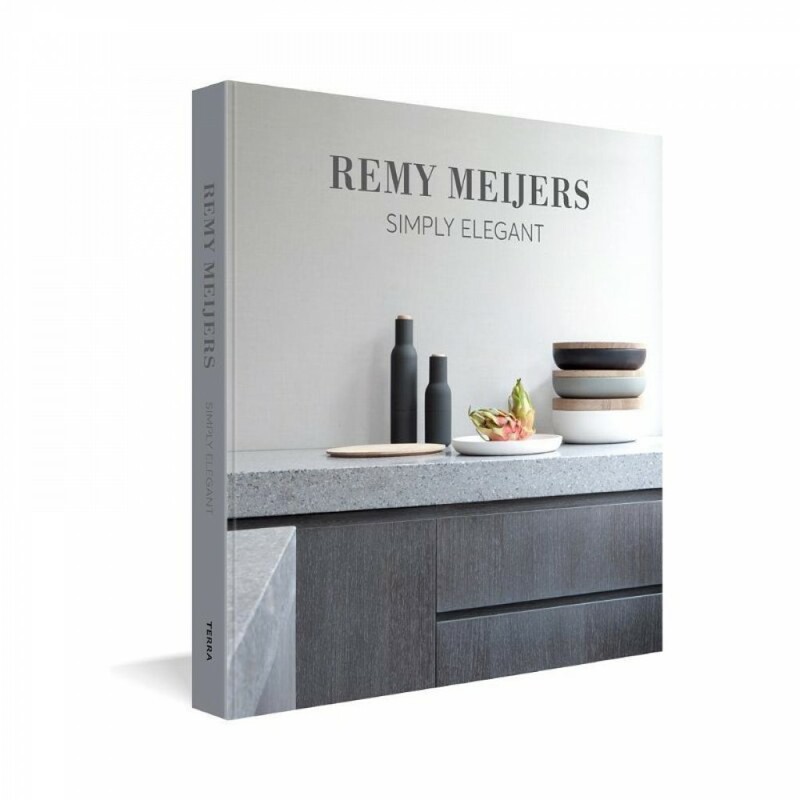 The book devotes ample attention to Historical Villa in Amersfoort, one of Remy’s projects that was previously published in Simply Elegant. 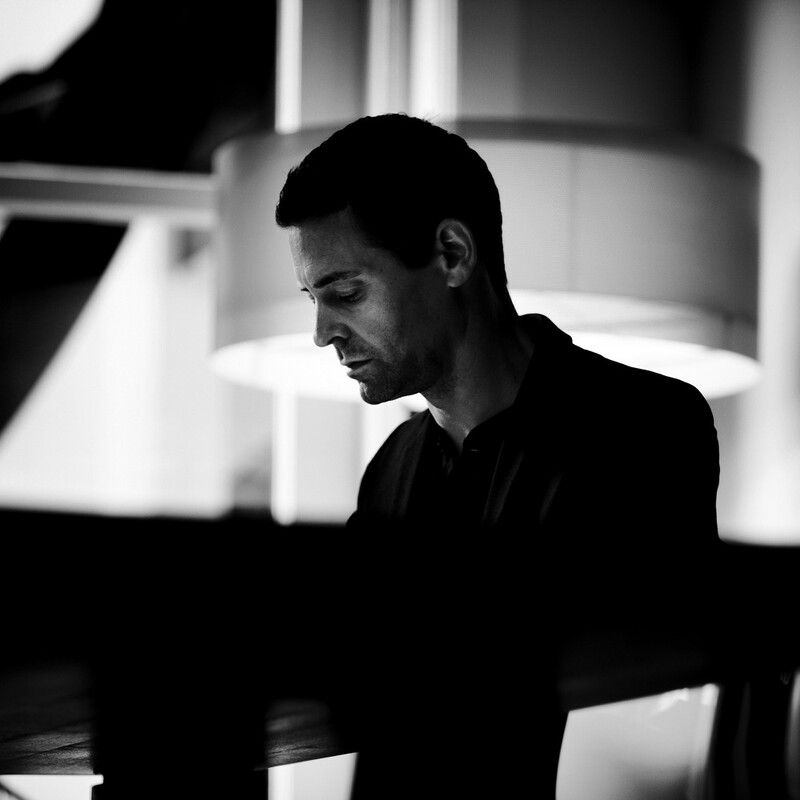 In a personal interview, Remy talks about his motives, his affinity with design and his passion for interiors. Simplicity. Perhaps there is no other word that better describes the work of interior architect Remy Meijers. 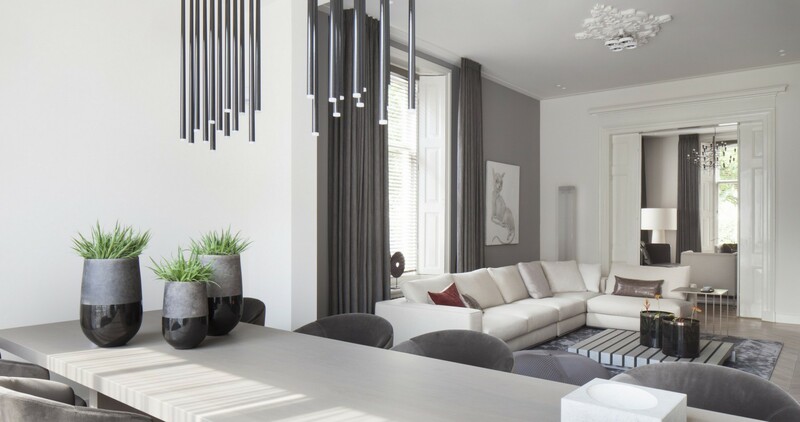 The various elements in his interiors are so perfectly placed that it seems as if natural laws have been followed, and that it could not have been otherwise. His philosophy is reflected clearly in his new book Simply Elegant. It is now for sale for 59,50 €. A spacious villa on a country estate in the middle of Holland. Remy has been working hard over the past few weeks to redefine it. The original look and feel of the house built in 1869 served as a guide. 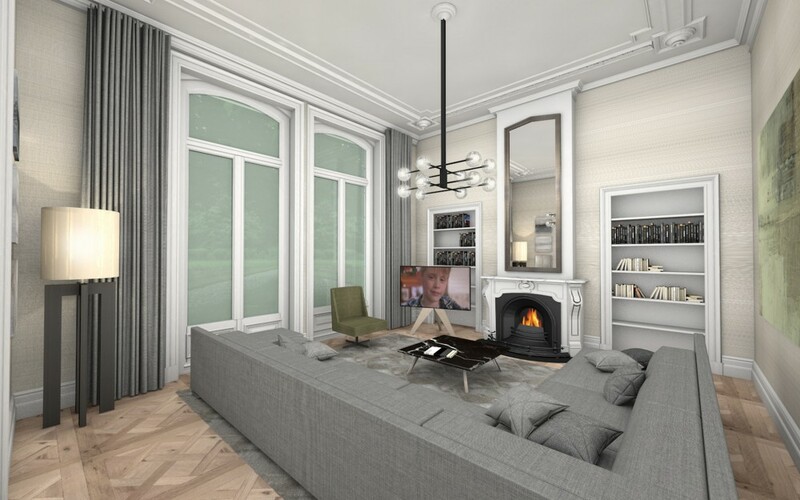 In the work of interior designer Remy Meijers (1974), all elements are perfectly in place. His interiors are therefore almost self-evident. As if they have always been like this. But there’s a lot more going on than meets the eye. Behind the apparent simplicity of his interior designs lies a coherent and comprehensive vision honed continuously over two decades. Meijers’ oeuvre includes not only interiors, but also architecture, accessories and furniture. According to Meijers’ philosophy, these are not separate elements, but rather complementary parts of an intelligible whole.